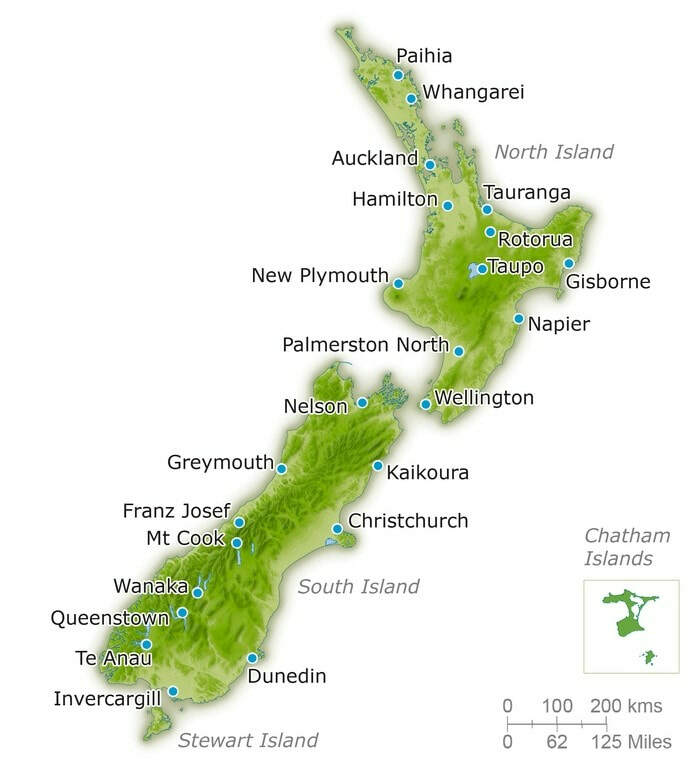 Australia and New Zealand are two large countries, with lots to see. 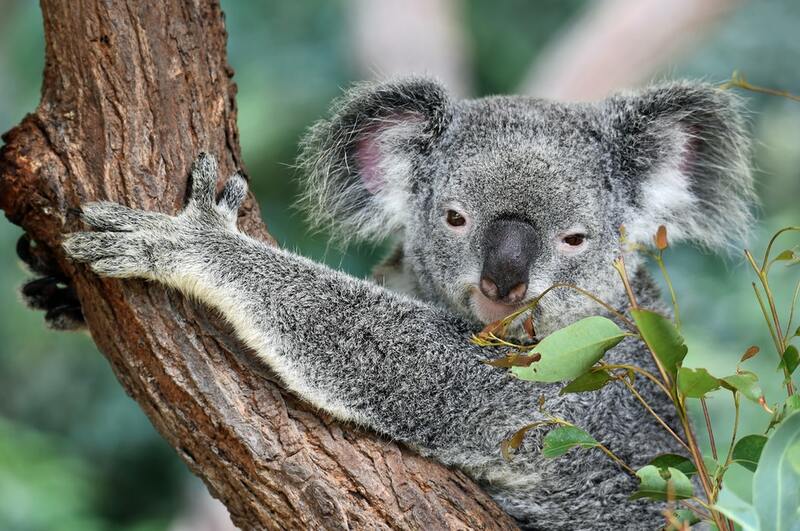 Australia has a lot to offer: Beautiful scenery, amazing animals, some of the world's best food and wine plus a great value for the money. Australia is about the same size as the US from the east to west coast and New Zealand is about as long as New York is to Florida so to see the highlights of each country can get expensive really quickly as flights are the only practical way to cover these distances. Since these countries aren't exactly next door to the US, we have combined the highlights of both counties in one trip, included the most iconic sights, with the minimum amount of air travel. We feel we have provided good value without sacrificing quality while still allowing people to be able to customize for their interests. My name is Diane Blair Hickey and my husband is David Brams. Have you thought about traveling and exploring the world but put it off until the timing was better? We did too until about 8 years ago when David got cancer. Talk about a scary wake up call. We were fortunate enough for David to have a full recovery so we could reset our life to align with what we really wanted. Note on Day 02 you will cross the international dateline. We have arranged for room pre-registration so you will be able to check in to your rooms directly upon arrival. Enjoy the remainder of the day at leisure. [B, L] A full buffet breakfast is included at the hotel. 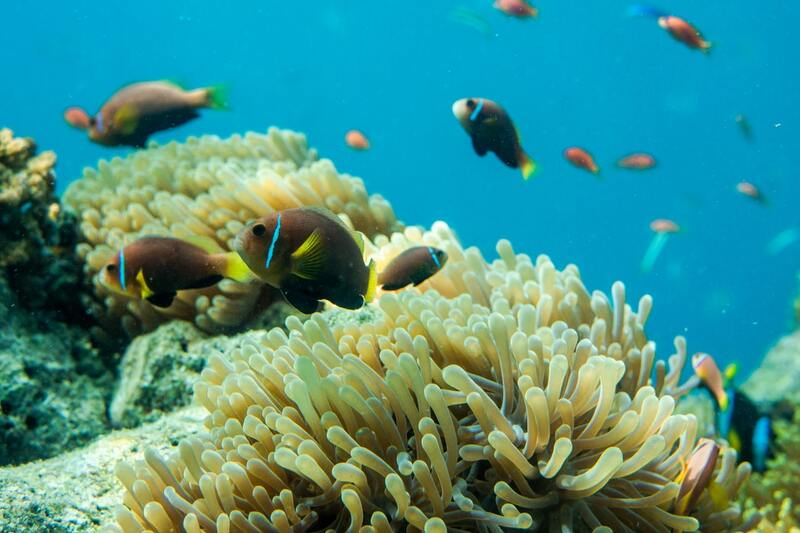 This morning we will be collected by coach with a guide from our hotel and transferred to Reef Magic Cruises for our Outer Great Barrier Reef day. Spend 5 full hours at the spacious, all weather, Marine World Pontoon. Guests have both the time and space to enjoy the largest range of reef activities available in a relaxed, fun and personalized atmosphere. Suitable for all age groups and swimming abilities, included activities are snorkeling, marine biologist presentation, fish feeding demonstration, semi-submersible and glass bottom boat tours, underwater observatory or simply relaxing on a sun lounge (Aussie for lounge chair). The day includes morning and afternoon tea plus a hot and cold buffet lunch. At the conclusion of our cruise transfer back to our Cairns hotel. 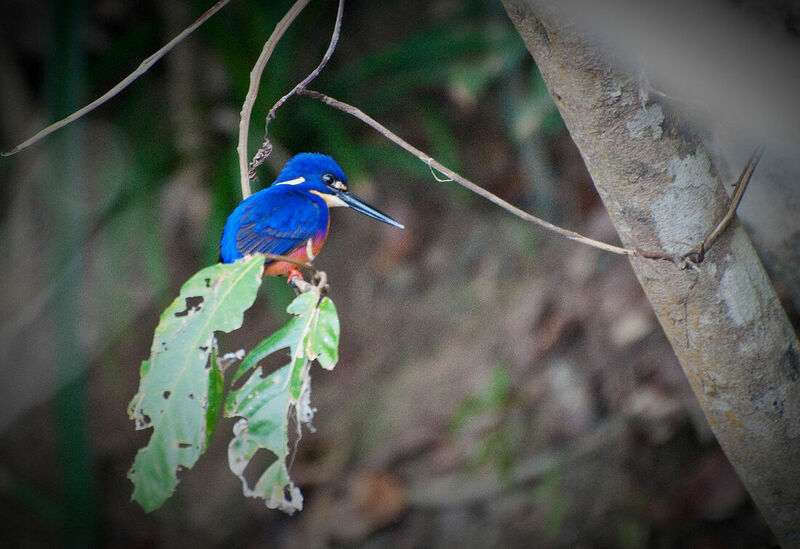 We depart this morning on a full day tour to the World Heritage listed Daintree Rainforest. First stop is Mossman Gorge for a walk through the rainforest and a traditional indigenous “smoking” ceremony that cleanses and wards off bad spirits. Morning tea is included. We stop for lunch at the Daintree Tea House before joining the Daintree River Cruise. Cruise deep into the mangrove-lined Daintree River, the habitat of the ferocious estuarine saltwater crocodile, and learn about this incredible ecosystem from a knowledgeable guide. 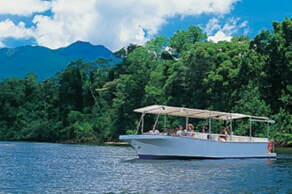 The tour guide will assist us in spotting unique river wildlife and the infamous Estuarine Crocodile. We then have a short tour of the Port Douglas town ship before returning to our hotel. Evening at leisure. [B] A full buffet breakfast is included at the hotel before our transfer to Cairns Airport for your flight to Sydney. Welcome to Sydney! Sit back and relax as we transfer you from Sydney Airport to your hotel. 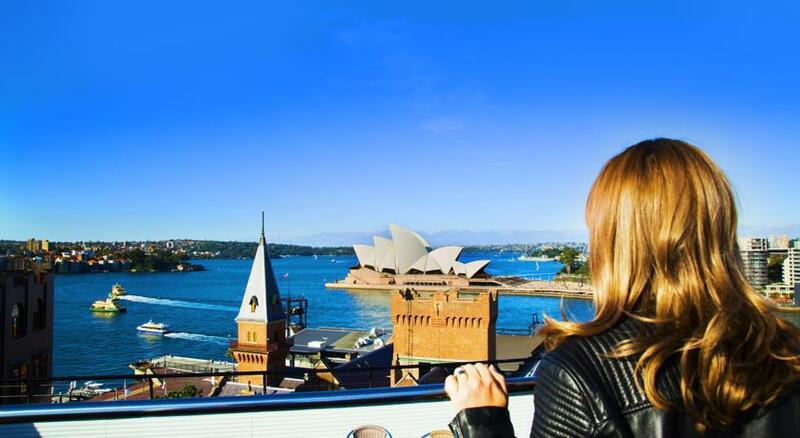 DAY 07: 18 OCTOBER HARBOUR CRUISE + SYDNEY OPERA HOUSE [B, L] A full buffet breakfast is included at the hotel. This morning, we are picked up by private coach and English speaking guide and transferred to the Sydney Opera House for a 60 minute guided tour. 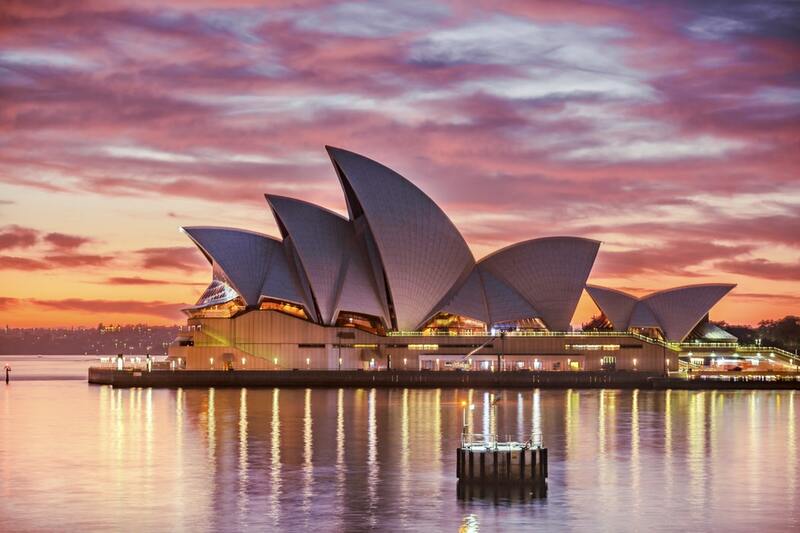 The Sydney Opera House is one of the world’s most recognizable landmarks and this is our chance to truly get up-close. Run your hands over the world-famous shell tiles, take a seat in the elegant custom-made white birch timber chairs and marvel at the vaulted ceilings. Visit areas off-limits to the public and capture photographs from rare vantage points. Explore theatres and foyers where more than 1600 concerts, operas, dramas and ballets take place each year. Following the tour we walk to Circular Quay for our Sydney Harbor Luncheon Cruise. Board our Captain Cook Cruises vessel to commence a Seafood Buffet Lunch cruise. Travel aboard MV Sydney 2000 or John Cadman 2, and enjoy views of exclusive harbor suburbs whilst enjoying a buffet lunch on board with commentary. Cruise concludes at approximately 2.20pm at Circular Quay where we are transfered back to the hotel and enjoy the evening at leisure. [B] A full buffet breakfast is included at the hotel. DAY 09: 20 OCTOBER DEPART SYDNEY TO QUEENSTOWN, NEW ZEALAND [B] A full buffet breakfast is included at the hotel. Transfer to Sydney International Airport to check in for your flight to Queenstown, New Zealand. Queenstown has captured hearts since the first Maori came in search of pounamu (greenstone or jade) and to hunt the giant Moa bird, and that same magic remains today. Now an established international four-season resort, it is unsurpassed for the diverse number of experiences on offer, its exceptional quality, and its friendly, accommodating people. 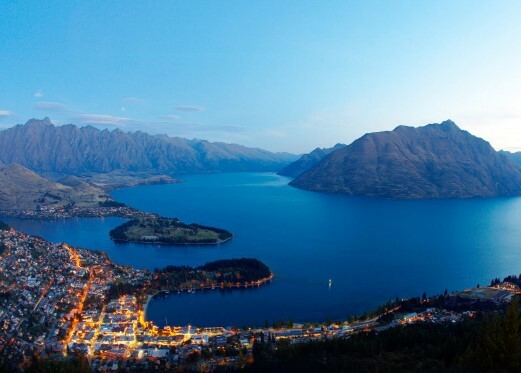 Queenstown is pure escapism, where the limits stop and people take over. Adventurers, golfers, walkers, film-makers, leisure lovers, fishing anglers, artists, wine enthusiasts, even Hollywood stars and US Presidents – they are all drawn to, and fall in love with, the resort and the intense alpine energy. Rotorua is an exciting city with an immense portrayal of history, tradition and culture. Its popular tourist attractions and daring activities provide an endless amount of satisfaction for the tourist visiting the heart of our country. Surrounded by the unmistakable smell of bubbling sulphuric geysers, Rotorua is a hydrothermal experience of a lifetime. 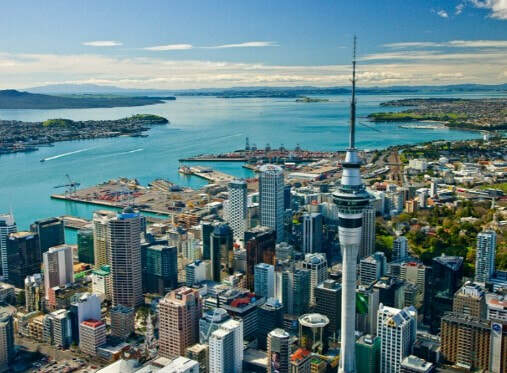 Home to a population of more than one million people Auckland represents the largest urban city in New Zealand and is recognized as having the largest concentration of Polynesian people in the world. 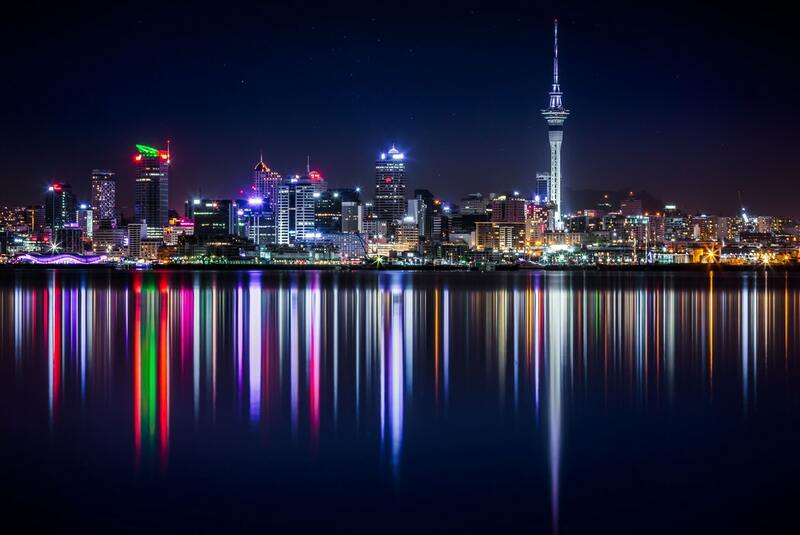 As an evolving modern city, Auckland has undergone a renaissance - with an ever-changing skyline, a pulsating waterfront and a new infusion of restaurants and bars, it has become a Mecca for nightlife, buzzing with an atmosphere of fun and excitement. With a quality of life ranked amongst the highest in the world, Auckland’s blend of the Hauraki Gulf, rain forest and modern city environment creates an incomparable lifestyle which visitors are invited to enjoy. Auckland’s temperate climate bodes well for outdoor dining and myriad of water-based activities. Upon arrival at Queenstown International Airport and having completed customs formalities we will make our way to the International Arrivals Hall where we will be greeted by our tour driver who will direct guests to their coach for transfer to their hotel. Remainder of evening at leisure. B, L A full buffet breakfast is included at the hotel. We will travel by private coach along the southern arm of Lake Wakatipu to Mossburn and Te Anau where there will be a brief stop for refreshments at our own expense before travelling on through the stunning scenery of Fiordland National Park. 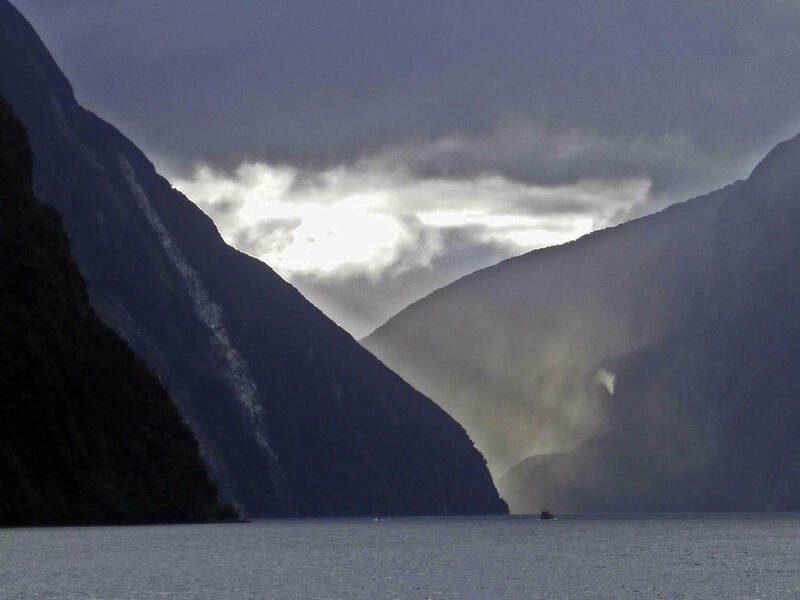 Photo stops will be made at the Mirror Lakes, the Chasm, Hollyford Valley and the Homer Tunnel before reaching Milford Sound – referred to by Rudyard Kipling as “The Eighth Wonder of the World”. Join ‘Real Journeys’ for a 2 hour Scenic Nature Cruise with an on board nature guide who will provide an informative and entertaining commentary while you cruise along the majestic fiord, pointing out significant flora and fauna. A picnic lunch is included on board today. B A full buffet breakfast is included at the hotel. This morning, we ride the Skyline gondola to the summit of Bob’s Peak with panoramic views overlooking Queenstown, Lake Wakatipu and the mountains. Afterwards we depart on a sightseeing tour of the historic gold mining township of Arrowtown and view the AJ Hackett Bungy Jump Bridge. 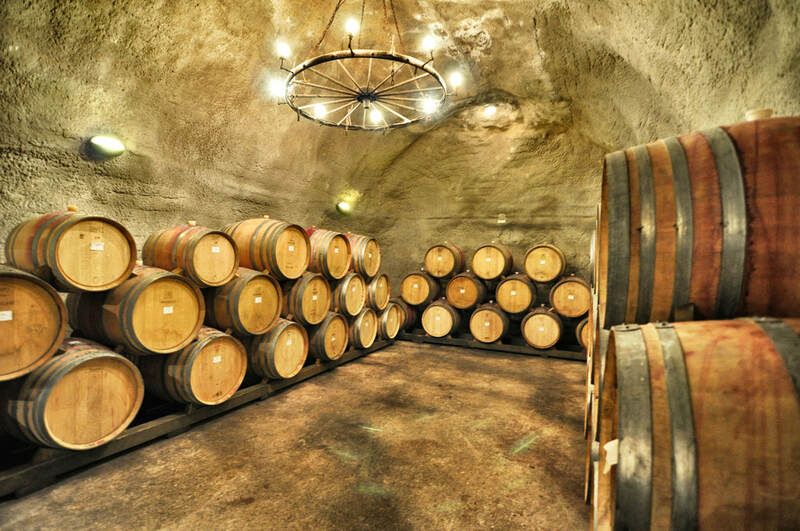 Thereafter we visit Gibbston Valley Winery for an informative introduction to the wine industry in this region followed by 3 tastings in the cave cellar before returning to the hotel. The rest of the afternoon and evening we have free time at leisure. Where you can explore the beautiful town of Queenstown with lots of cafes, restaurants and shops. Or, you may opt to walk along the shore of Lake Wakatipu or visit the botanical garden. DAY 12: 23 OCTOBER QUEENSTOWN TO ROTORUA (B) A full buffet breakfast is included at the hotel. Transfer to Queenstown Airport to check in for your flight to Rotorua. We will be met on arrival in Rotorua by a North Island tour driver and coach. Commence sightseeing of Rotorua lakefront and Government Gardens before checking into the hotel from 2pm. Rest of day at leisure. (B, D) A full buffet breakfast is included at the hotel. 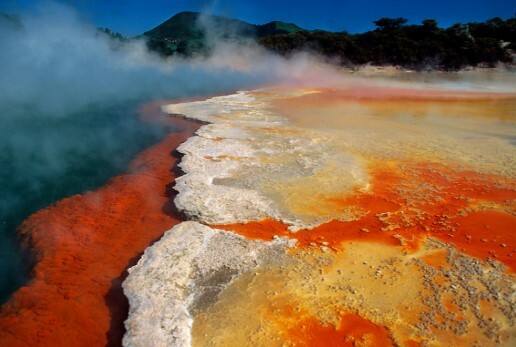 Today enjoy a sightseeing tour by private coach of some of Rotorua’s iconic attractions. 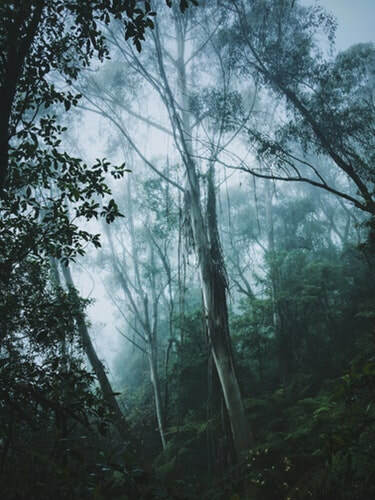 Rainbow Springs Nature Park offers a nature walk through native and introduced species of wildlife set amongst beautiful native trees, plants and ferns. Your experience is enhanced by a one hour guided tour which gives you an informative and interesting commentary and visit to the Kiwi viewing facility. The Agrodome is one of New Zealand's most loved attractions. Home to the 'world famous' Sheep Show, you will see sheep shearing, champion rams, cow milking, lamb feeding, dog demonstrations and interactive fun! 6.15pm: “Te Po” commences with a Maori cultural performance followed by a traditional Hangi buffet dinner. Transfer back to hotel by Te Puia at the conclusion of the evening. (B) A full buffet breakfast is included at the hotel. Check out from hotel and depart by private coach for Waitomo, a driving time of approximately 2 hours. Upon arrival our Waitomo Caves guided tour will take us through over 250 meters of stunning underground scenery commencing with the impressive Cathedral. The acoustics in this particular cavern are world-renowned. Acclaimed New Zealand Diva, Dame Kiri Te Kanawa, has sung here and was delighted with the purity of the sound. Our tour begins at the upper entrance of the cave and proceeds along a low narrow passage to the Tomo, a deep limestone shaft. Our experienced tour guide will deliver a highly informative commentary about the formations and the history of the area. The highlight of our tour is an unrivalled boat trip through the spectacular Glowworm Grotto. Marvel at Mother Nature's light display as we glide silently through the starry wonderland of the Glowworm Grotto. 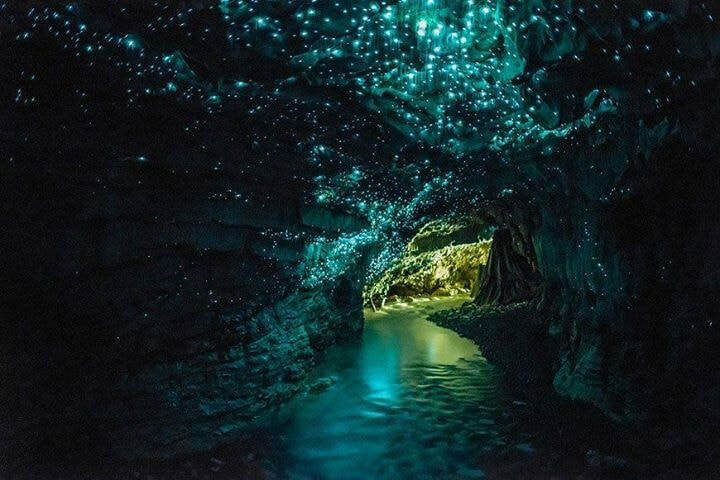 Meander underground along the Waitomo River and gaze in silence at the myriad of glowworm lights that make up the Glowworm Grotto. As we enter this galaxy of tiny living lights, we'll immediately experience a serene ambience and be fascinated and intrigued by tiny glowworms that light your way. This afternoon continue north to New Zealand’s largest city –Auckland, known as the City of Sails, a drive of approximately 3 hours. Check into hotel and the evening is at leisure. Explore Auckland's famous Queen Street followed by the history of Karangahape Road. Discover the vibrant culture of Ponsonby Village with its boutique eateries and retail stores before making our way over the Auckland Harbour Bridge for stunning views over the glittering Waitemata Harbour back to the city. Returning over the Harbour Bridge we visit the Viaduct Harbour before continuing on through the Auckland Domain. With its classic charm the Auckland Domain is the city's oldest and one of its largest parks, situated on a 62,000 year old volcano. A guided highlights tour is included at the Auckland War Memorial Museum. Following our visit we continue to Parnell Village for a lunch stop at our own expense. The historic buildings of Parnell have been transformed in to a trendy shopping area featuring many boutiques, antique, craft and specialty shops. Following this, our tour will then take you along the stunningly scenic waterfront route of Tamaki Drive to the Michael Joseph Savage Memorial Park, in Mission Bay. Michael Savage is often regarded as one of New Zealand's greatest and revered Prime Ministers, and was given the title of 'New Zealander of the Century' by the New Zealand Herald in 1999. The memorial Park has beautiful panoramic views over Whenua Rangatira, Auckland city and Waitemata Harbour. This park is a popular wedding venue, with its formal gardens and tranquil atmosphere. 6.30pm Farewell Buffet dinner is reserved at ORBIT at Sky City take the lift up to Sky Tower and enjoy the panoramic views of the city from the revolving restaurant. (B) A full buffet breakfast is included at the hotel. Normal check out time from the hotel is 11.00am. Check out from hotel with luggage for private coach transfer to Auckland International Terminal for your onward flight. Approximately $2200 - $2500 per person from Los Angeles including local air within Australia and New Zealand. Schedule may vary in order to get best price. Riley - a Crystalbrook Collection Resort, promises a fresh approach to hospitality. With a personality of its own, Riley is a sophisticated character with a playful outlook on life. Guests can expect understated elegance, contemporary design and a splash of fun. Residing in a prime location at the northern end of the iconic Cairns waterfront boardwalk, Riley features 311 stylish rooms and suites, most with spacious balconies. There are also signature spaces to mingle, relax, work and play. Add to this a lagoon swimming pool spanning over 1,000 square metres with a private man made beach, a day spa and a 24-hour fitness centre and you’re on your way to a truly great stay. Holiday Inn Old Sydney hotel is a significant heritage piece that makes up The Rocks, Sydney’s picturesque and historic locality, and has been welcoming families and couples for years. 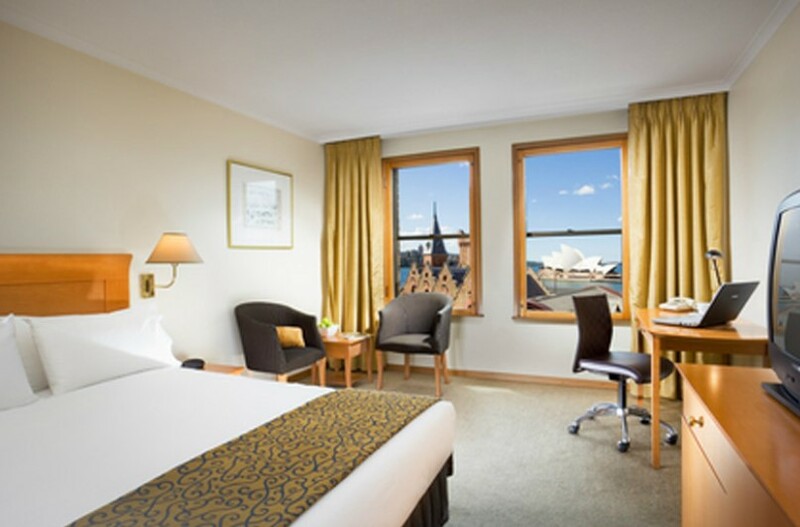 Nestled between two of Sydney’s most iconic landmarks, take a splash in Holiday Inn Old Sydney’s rooftop pool under clear blue skies, as you marvel at the breathtaking panoramic views of the Sydney Opera House and Sydney Harbor Bridge. You can’t get any closer to the lake – unless you jump in. Sudima Lake Rotorua sits right on the shore offering breath-taking vistas across the water. It’s also just a short stroll from Rotorua's vibrant CBD, Convention and Energy Events Centre. 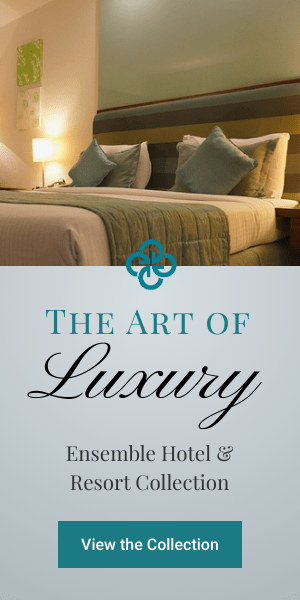 This well-appointed home-away-from-home has all the facilities and features you’d expect from a Qualmark 4-star hotel, as well as a few that sets it apart. 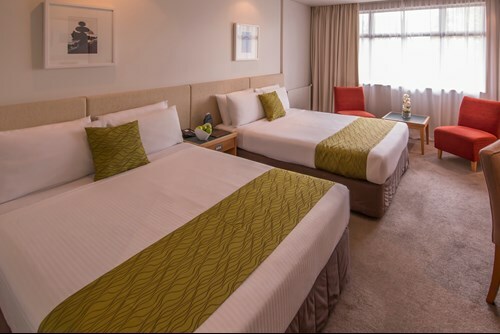 Located in the heart of Auckland City with over 323 rooms, this modern and spacious hotel allows you to relax in style while enjoying the world-class casino, more than 20 restaurants, cafes and bars, a theatre, free live entertainment on selected nights and the iconic Sky Tower - all right on your doorstep! Gratuities/Tips*** NOT EXPECTED BUT THIS IS SLOWLY CHANGING AND IS DISCRETIONARY AT SELECT RESTAURANTS, IN WHICH CASE YOU WOULD TIP AS YOU NORMALLY WOULD – 20%. AN EXCEPTION BEING; IF YOU PLAN TO ALL EAT TOGETHER AS ONE BIG GROUP, MOST RESTAURANTS WILL CHARGE A SERVICE FEE EQUIVALENT TO 15-20% WHICH IS BASICALLY SAME THING AS GRATUITY. TIPPING HOTEL PORTERS $3-5 PER ROOM IN LOCAL CURRENCY. IF RECEIVING EXCEPTIONAL SERVICE FROM COACH TOUR DRIVERS AND/OR LOCAL GUIDES, OFFER A $20-$40 TIP IN LOCAL CURRENCY. BUT DON’T BE SURPRISED IF THEY REFUSE TO ACCEPT THIS GESTURE! Personal items such as phone calls, souvenirs, email, laundry charges, optional tours.